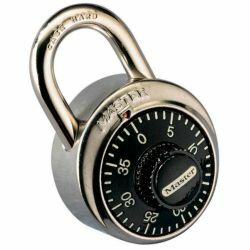 The world's most popular combination locks feature steel shackle and reinforced stainless steel case for durability. Dial automatically locks under shackle tension to prevent "feeling out" 3-digit combination. Minimum of 12.